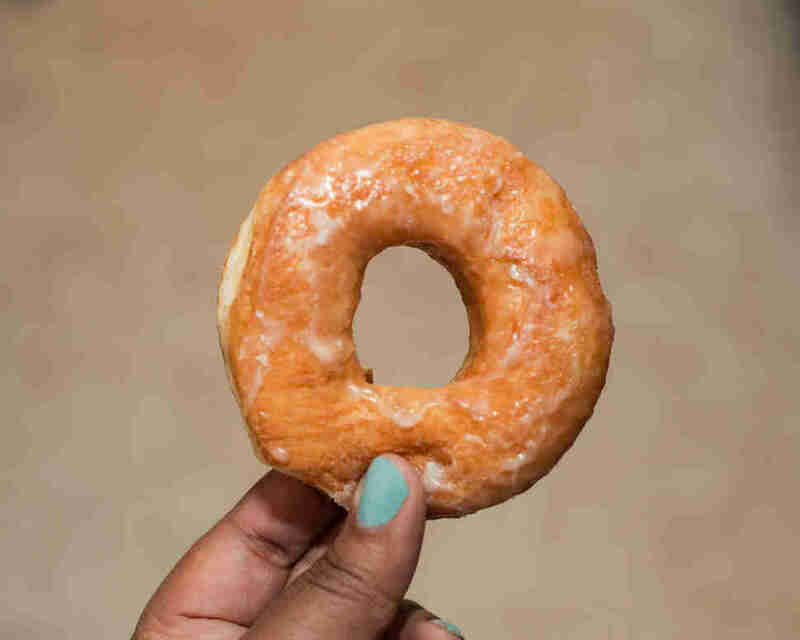 The humble donut has come along way in recent years, from an obligatory morning staple serving mainly as the basis for cop jokes to an object of obsession that replaced cupcakes as the "everyday sweet treat that everyone's making all fancy" of the moment. However, while the aforementioned cupcake thing proved to be more of a fleeting fad, the donut boom has shown more staying power, and our lives are richer and more carb-filled for it. 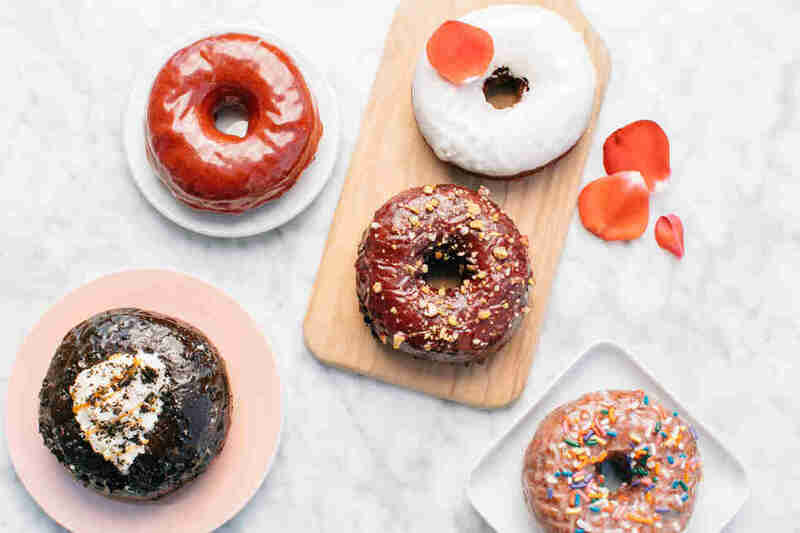 Our 31 favorite donut purveyors across the country run the gamut from boundary-pushing destinations exploring new flavor combinations to decades-old institutions that aren't going to change and don't need to. But the common denominator is the kind of eye-rolling satisfaction that'll dictate a "yes" when you inevitably ponder whether or not to eat another one. Calling A Baker's Wife a "donut shop" could be a bit of a misnomer -- they're quite adept at pastries of all sorts and no one would judge you for walking in and solely sticking to one of their ridiculously buttery croissants. All that said, the donuts are still very much their calling card -- their ridiculously inexpensive 65 cents apiece calling card. Go for the simpler side of things with a beautifully executed cake donut dusted in cinnamon sugar or glazed with some sprinkles and be happy, unless you're headed there on a Monday, in which case they'll be close and you will instead be sad. 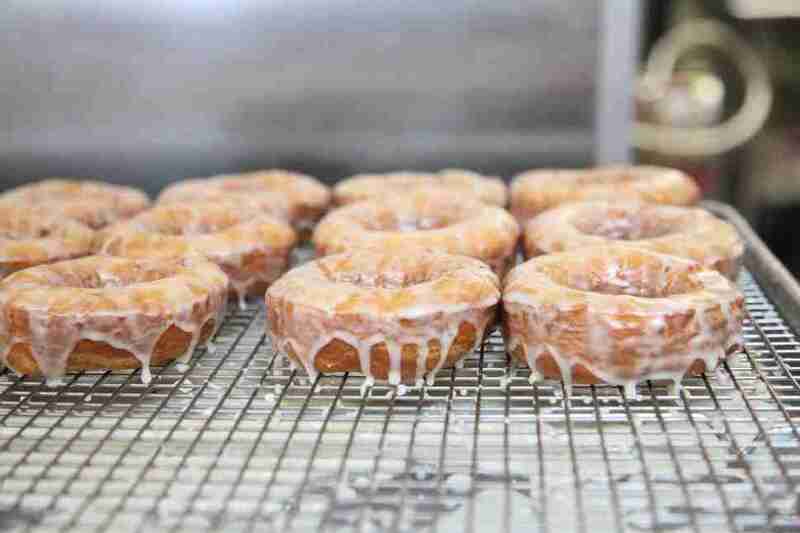 For decades now Allie's has drawn in hungry Rhode Islanders (and pretty much anybody else making their way along Route 2) so eager to get their hands on old school crullers and delightful glazed donuts that they're willing to brave an inevitably robust weekend line. However, those who plan ahead a bit can enjoy Allie's' other calling card: ambitiously creative custom donut cakes that will inevitably cement any kid's (or, let's be honest, adult's) party as an instant classic, the way only a goat in a Tom Brady jersey can. GOAT! Get it? 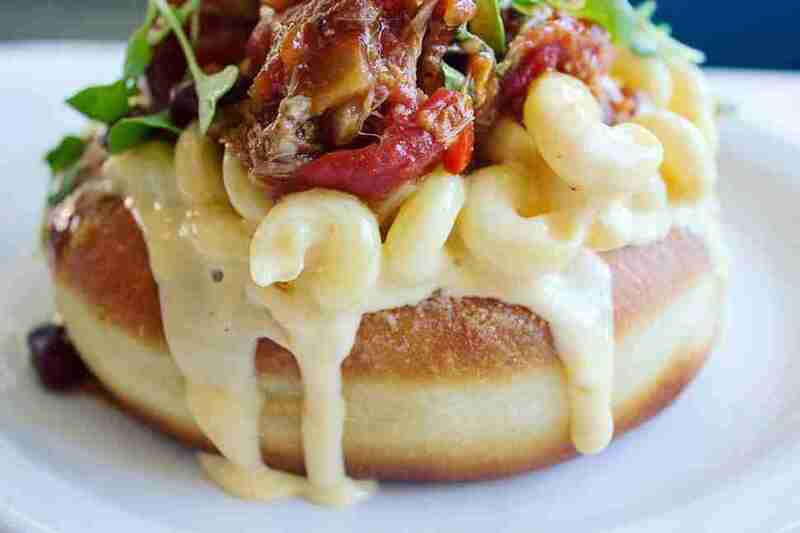 It's wasn't terribly surprising when the people behind standout Boston restaurant The Gallows proved just as adept at making amazing artisanal donuts as they were at creating drool-worthy savory dishes -- including one of Boston's finest burgers. While they absolutely nail the basics here, from a textbook airy vanilla glazed to a chocolate sprinkled number that will shake even the most ardent Dunkin' defender to his core, don't be afraid to explore a little. There's an everything bagel brioche donut stuffed with cream cheese that straddles the sweet-savory line beautifully. There's a citrus old fashioned whose lemon-lime-orange-grapefruit glaze cuts nicely against the rich cake donut. 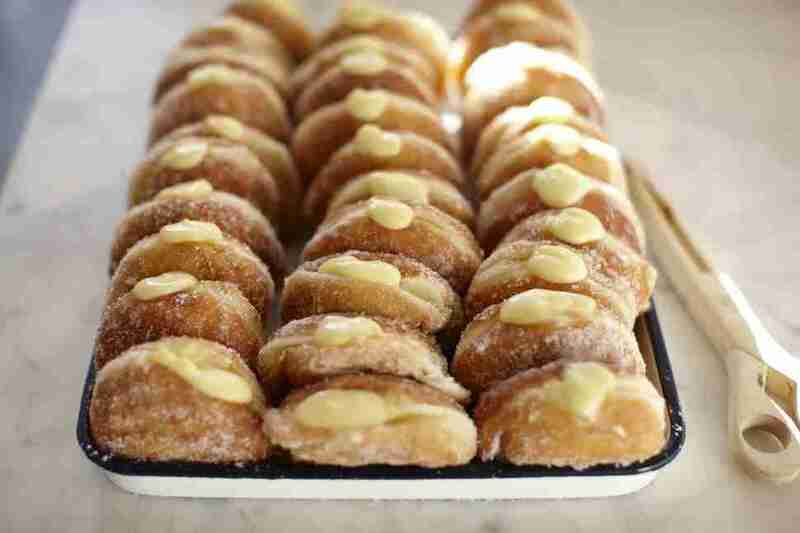 There are also mini donuts sold by the 50-batch. Watch your back, donut holes. This Koreatown hot spot certainly has its eyes on the Insta crowd, with gorgeous crowd-pleasers like a cream-covered Panda donut with Oreo eyes and ears, a blueberry/Cinnamon Toast Crunch beaut, and a pink number covered in fresh strawberries and nuts front, center, and ready for their closeups. But a donut’s only as good as its base, and luckily even the standard glazed here is great, made better by the addition of matcha green tea glaze. 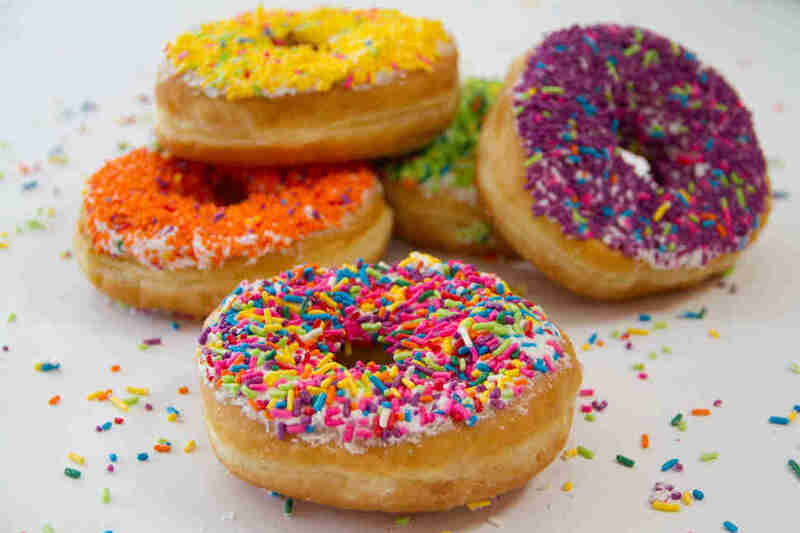 There’s even a pink, sprinkled Doh’nut available for Simpsons fans. Everything here is beautiful, but even if the toppings were haphazardly applied by a blind chimp, the flavor would still shine through. A forefather of the relatively recent tiny donut revolution, Da Vinci’s itty-bitty two-biters take the (ugh) cake in Atlanta thanks to their infinite customizability. Inspired creations like the cannoli -- the best damn mutation of the Italian dessert classic this side of Little Italy -- and the filling-loaded caramel apple are things of beauty, but this is a place that rewards customer creativity with its bevy of icings and drizzles and toppings that basically seem like a candy store and a fancy bakery joined forces, then exploded. 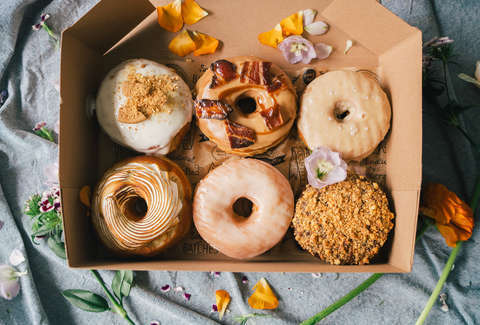 As the name implies, each donut is a work of art: Whether the artist is the person making the donuts or the customer letting their imaginations run wild is a matter of choice. And given the tininess of each donut, there’s room to experiment. 2013 was the year beignet-loving New Orleans got hip to the whole next-level donuts thing, and judging by the crowds that have endured and new locations that have popped up since, there is plenty of room in town for the both of them. Speaking of room, the aforementioned sliders (try the fried chicken with candied jalapeño) and brew (the caffeinated kind) are absolutely worthy attractions, but we're here to talk donuts. Flavors rotate daily, and while they definitely nail the basics, you'll definitely find your eyes drifting towards nostalgia-inducing powerhouses like a Girl Scout cookie channeling Samoa or a peanut buttery Fluffernutter. Although, maybe get a beignet up in the mix, too, because why should you have to choose? If you're headed to the Barracks Row neighborhood of DC, it's probably to eat at Rose's Luxury because Bon Appétit told you to while you were thumbing through the magazine during a layover. But there's a better reason to get to Southeast -- and it's warm, round, and dipped in Nutella. 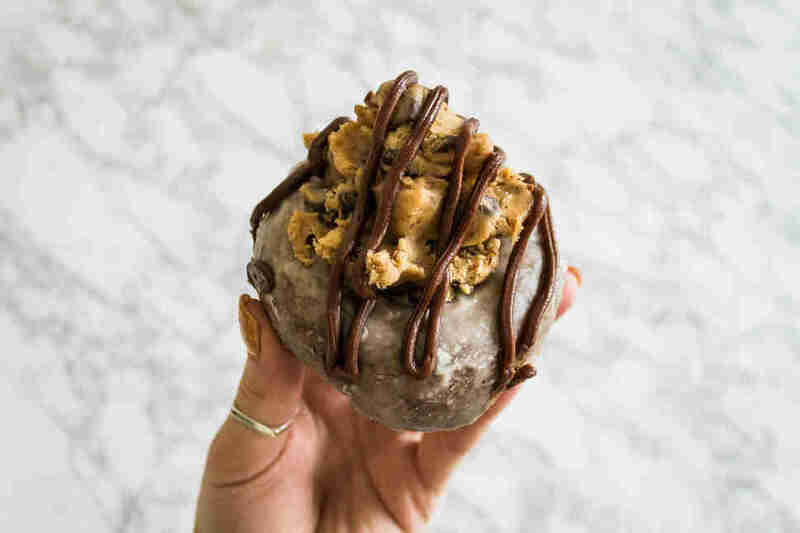 We're talking about the Goodfellow at District Doughnut, which is named after a CrossFit coach despite its status as a caloric punch to the gut. 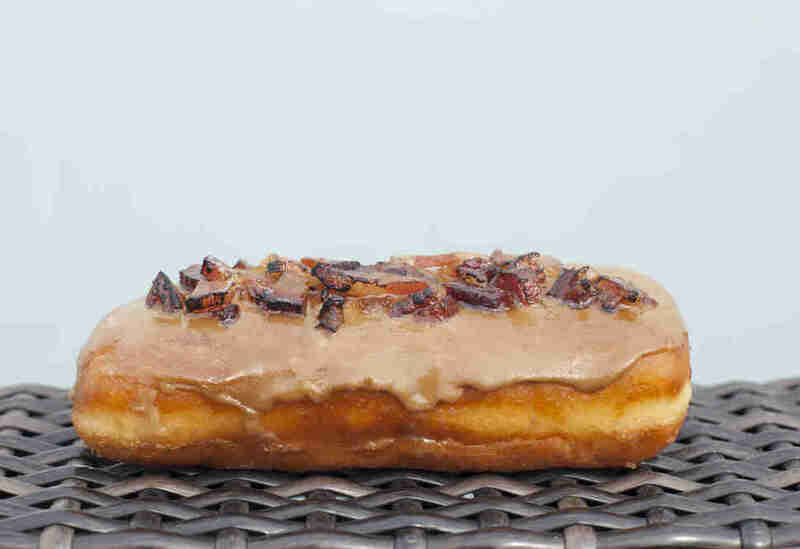 After being dipped in Nutella and cream, it gets a heavy dose of applewood-smoked bacon that Elvis would dig. Other flavors include the simple brown butter and the salted dulce de leche. 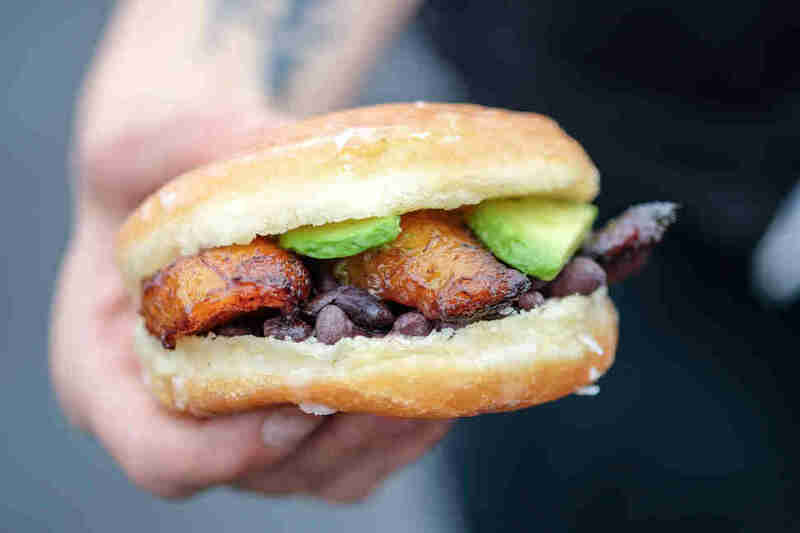 There's a scientific reason why District slays it at fried dough. It's that the donut maker, Christine Schaefer, is a Le Cordon Bleu graduate, so don't forget to yell "YES CHEF" at the register. Probably with a mouthful of sugar. 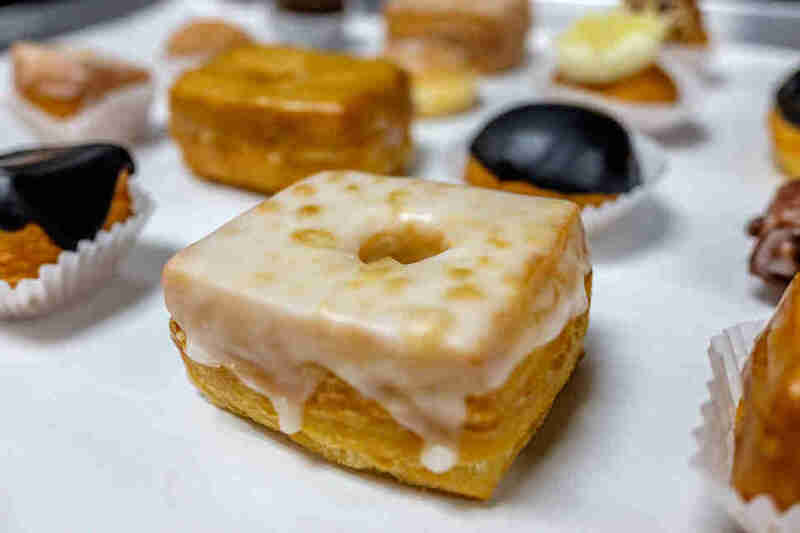 As one would have to expect from a shop keeping such prestigious donut-making company, Do-Rite does the fancy-donut basics right (spelling, less so), with the chocolate old fashioned and pistachio-Meyer lemon being standouts among the steady offerings. But it also pushes the creative envelope. If it didn't, would it offer fried-chicken donut sandwiches kissed with a spicy maple aioli? Would it offer a steady stream of visionary donut collabs, including the latest, an insane Upside Down, Inside Out creation conceived with music video revolutionaries OK Go?! Look, if both the dudes who create insanity like this AND Winston from New Girl want to get into the donut game with you, you're doing it right. Or Rite, even. Larkspur basically looks like a fake town they’d make up for romantic comedies in which the very good-looking firefighter lives in a place so picturesque as to be nearly offensive. And in the heart of downtown Larkspur, down what is not really an alley as much as just a Magnolia Center parking lot, sits the shop, which Steve and Ann Pring took over in 2008. Inside is completely standard -- just a few tables, a bunch of delicious-looking donuts, and three of what look like hampers with labels like "powdered sugar," "chocolate," and "blueberry." 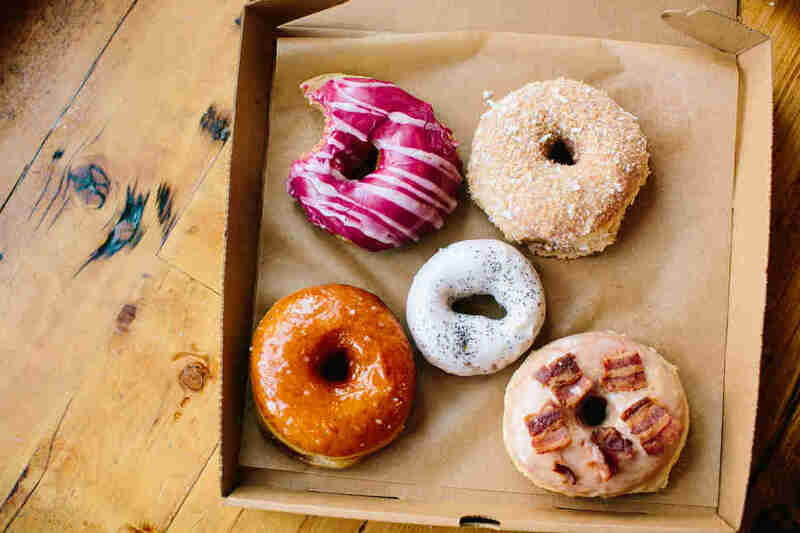 But ignore the spartan interior and focus on the donuts -- though this spot's got a standard variety, you’re here specifically for the old fashioned, which has one of the best and most subtle, crunchy crusts known to man. Get one of each flavor (it comes in four varieties), then head out the door and eat them amid the splendor of a somehow not-made-up beautiful Marin County town, and you’ll be having a pretty damn good day. 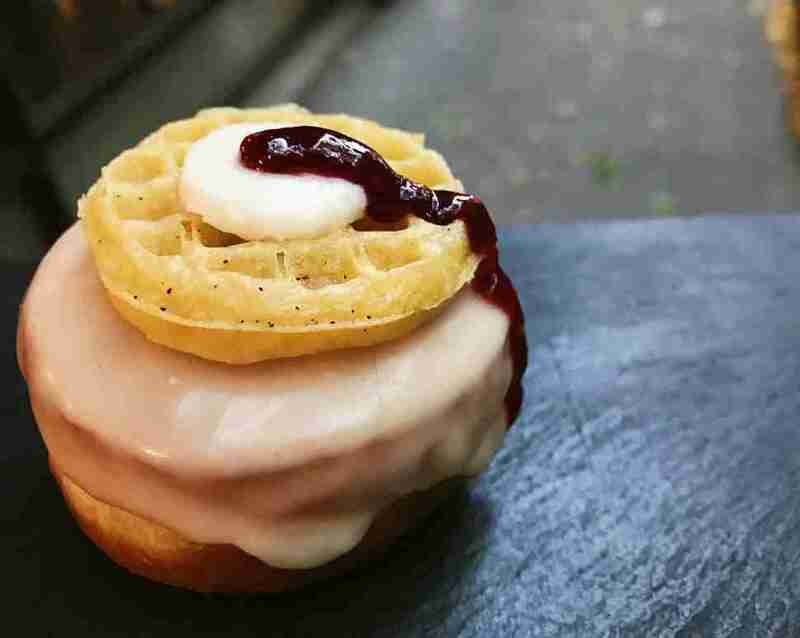 Donut Bar has attracted rabid press attention pretty much since it opened, and a quick scan through its Instagram explains why. Monte Cristo donuts! Creme brulee donuts! 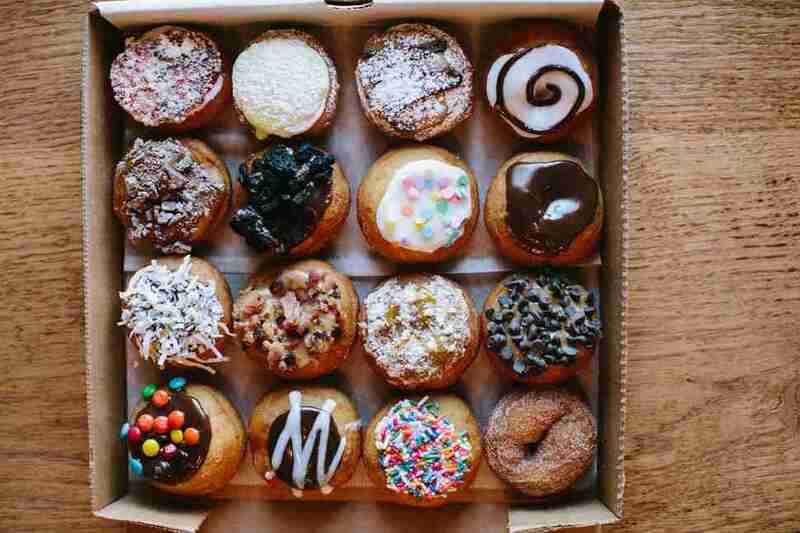 Donuts stuffed with Pop-Tarts! If you dream it, this place probably already did it, like, six months ago. And yes, of course there's actual booze in its bourbon maple creations. It's a bar. No wonder we called it the best donut joint in the whole of California. 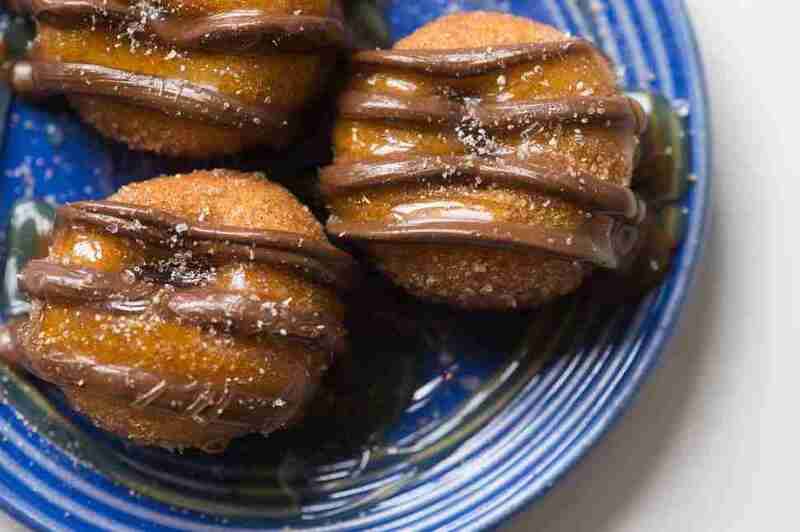 We’re not saying that the donuts at this rock & roll-inspired little shop in the heart of ever-trendy Highland Park aren’t good on their own: In fact, creations like the crispy Bavarian cream-filled Youth Brulee (burnt sugar on top!) or the Green Teagan and Sara topped with matcha glaze and toasted sesames are fantastic. But Donut Friend also fully embraces customizability, allowing you to hack donuts in half and hit them with a variety of fillings -- various creams, fresh fruit, cream cheese, homemade compote, and eight non-dairy ice creams, to be specific -- and weird toppings ranging from pretzels to nuts and even spices. Feel free to get frisky. You’re among friends. There are three sizes of donuts here, and the champion move is to get the donut holes, which at most places are a an afterthought, but here are actually crafted to resemble tiny donut cupcakes dusted with vanilla, covered in maple and pecans, or straight-up frosted. 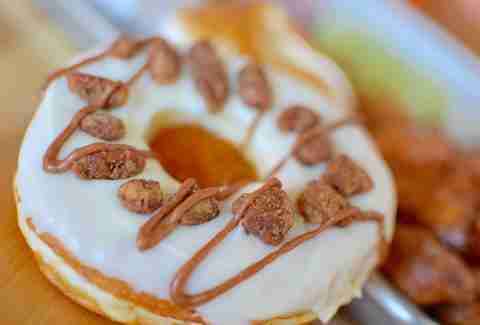 Actually, to really be a savant, get a half dozen of those and pair them with a full-sized Boston cream or their take on the Cronut, or an immaculate raised-dough number like the 007 Sean Pecan-ery loaded with toasted nuts and clocking in at a paltry $1. With prices this low, there are no mistakes. Unless you forget the holes. Don’t do that. 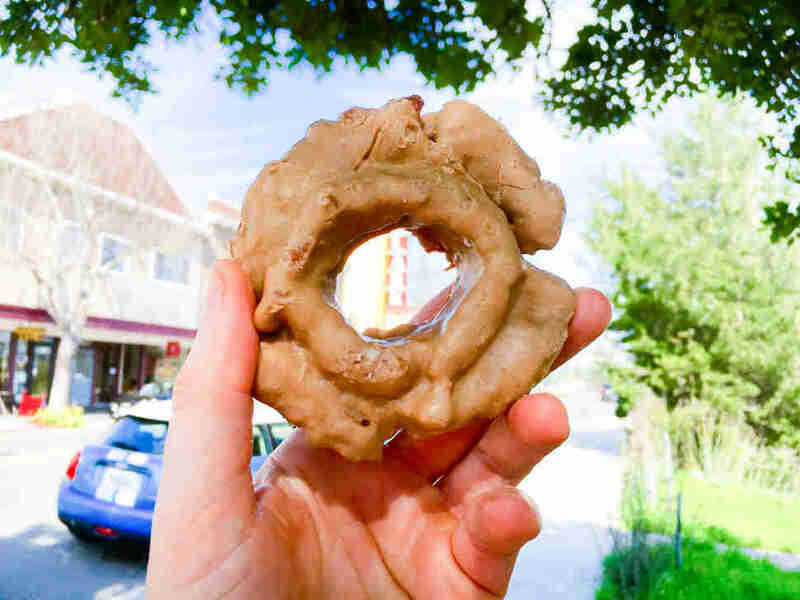 Having grown into a Wichita community hub in its decade-plus in business, the Donut Whole was built on the strength of its artfully made, locavore-minded donuts (the flour is milled in the same county and other than the vegan options, they're made with Kansas buttermilk). 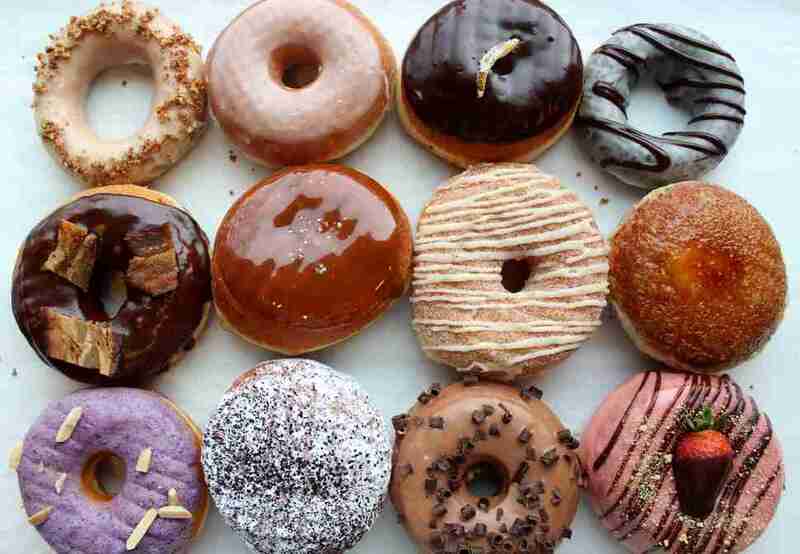 They have more than 500 donuts in their repertoire, which can prove problematic to the indecision prone, especially when you're weighing options like Bumblebee (chocolate with citrus glaze), peach cobbler, and King Midas (vanilla glazed topped with peanuts and Lyle's golden syrup). Fortunately, there is no wrong decision. 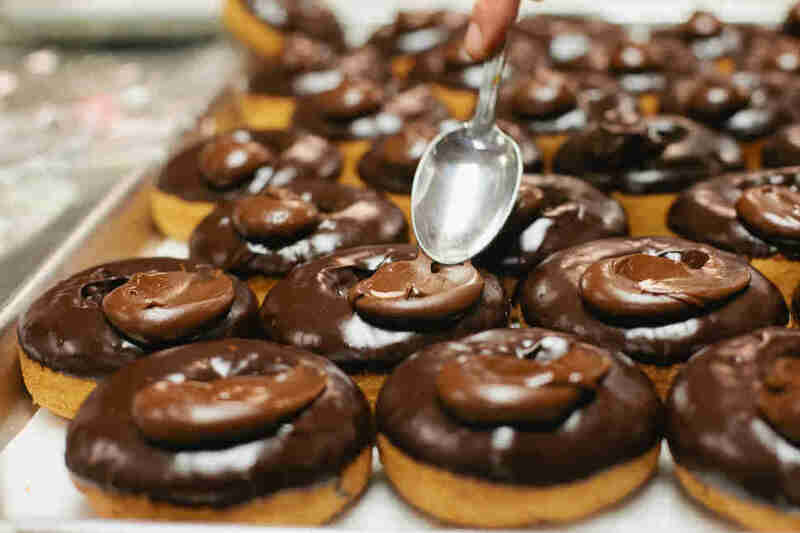 Having added a Central Park outpost to its original West Village location, The Doughnut Project specializes in small-batch yeast donuts and stands out among NYC donut shops with countless elevated flavors in constant rotation. The Costanza (salted chocolate with buttered pretzel) and the Bronx (olive oil and black pepper) both receive their share of hype, but don't miss the outstanding and admittedly strange beet donut stuffed with ricotta -- named Those Beetz Are Dope, which we'll forgive, because it’s just that good. Also pushing the creative envelope: the Saturdays-only bone marrow, stuffed with a rich chocolate bone marrow pastry cream and topped off with a bright yellow clementine glaze. 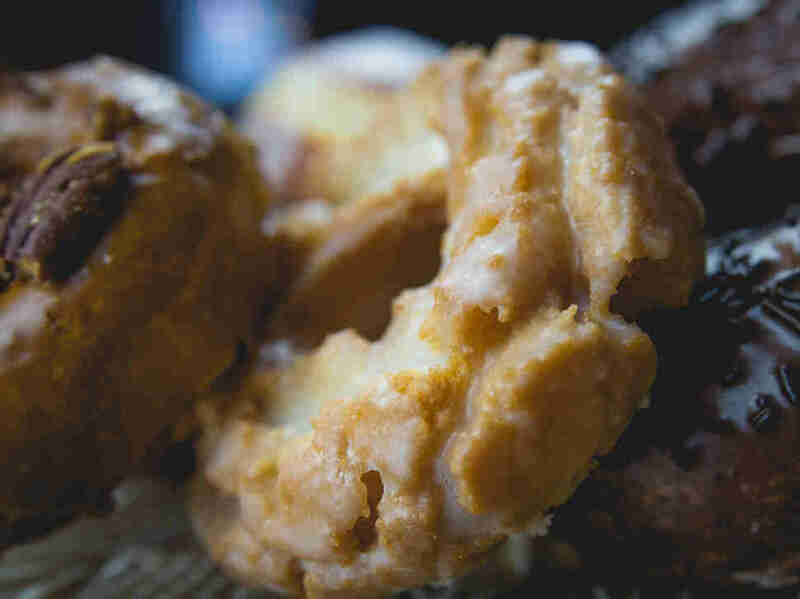 This wildly popular fried-dough purveyor from the same folks who brought you the much-coveted Au Cheval burger has been known to break hearts over its limited number of fresh-baked donuts (it only bakes a certain number daily; once they run out, it closes until the following day), so you’ll have to plan your trip wisely. Stop by on the early side for an array of some of the best old fashioned-style donuts in the city, like toasted almond, coconut cream, and lemon poppy seed. Pro tip: A limited number of the coveted old fashioneds are also available at the restaurant group’s other cafes, including Sawada Coffee, C.C. Ferns, and 3 Arts Club Café. If you’re from Memphis or have lived in the city for at least a few years, you’ve been to Gibson’s. It's just what you do when you have this sort of mom & pop legend in your town. And the fact that you can get a simple triple-rise, glazed yeast donut and a cup of coffee on the cheap makes a very strong case that the almost 50-year-old institution hasn’t changed since Lowell Gibson first started frying rings. However, things have changed, but unlike most modern inflections on a trusted old thing, the updates to Gibson’s have only made it that much better: take, for example, a play on the caramel-and-coconut Girl Scout favorite so good you might just be able to forgo your springtime cookie orders from now on. 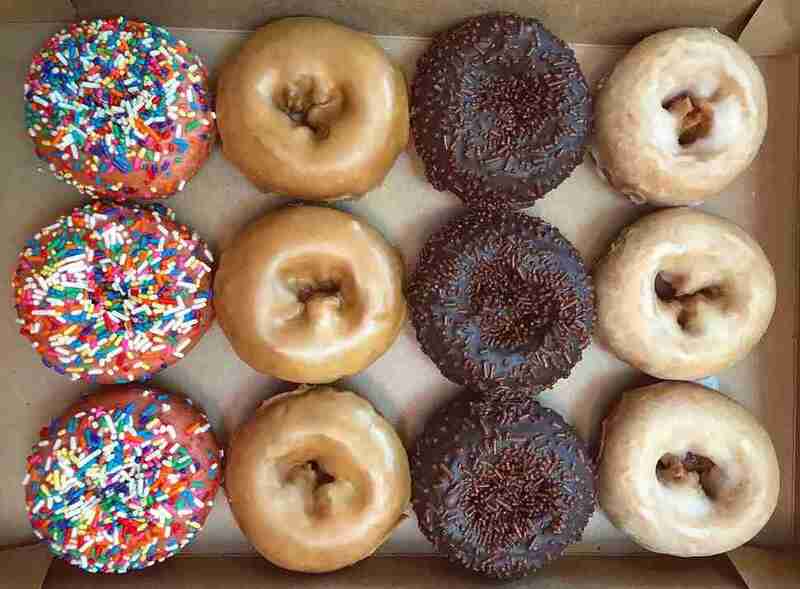 Note to the night owls: donuts become half price at 11pm. With its marble counter and fancy modern aesthetic, General Porpoise is a far cry from the storied glass counters of donut lore. That’ll happen when a baller chef like Renee Erickson (Walrus and the Carpenter, The Whale Wins) becomes obsessed with making high-rising, yeasty donut masterpieces. But what’s inside those fried pillows of ambrosia is equally awe-inspiring, an array of curds, creams, custards, and jams like chocolate marshmallow, creme brulee, and Italian plum, meant to be paired with a meticulously curated selection of coffee from some of the finest roasters in America. The selection's not crazy. It doesn’t have to be. The five donuts on offer are more than enough to merit that fancy counter. In Southern tradition, kids turn to their parents for family recipes, so it makes sense that when Kimberly and Brock Beiersdoerfer -- who knew nothing about donuts in a city that was late to catch on to the donut craze -- decided to open a donut shop, they turned to Gibson’s (the grandpa of the Southern donut game) and current owner Don DeWeese. The couple did time in the kitchen at the East Memphis legend, learning trade secrets, which explains why there’s a hell of a lot more years of experience in each bite of their fried treats. While jokes like "Heaven is a place on Earth... when you have one of Kimberly’s custard-filled Bismarcks" or "the chocolate-covered sour cream is like a gift from heaven" (Brock makes the chocolate in house) are far too easy to riddle off in full corny glory, well, it’s hard not to stand behind it. Gibson's was just that good of a teacher. 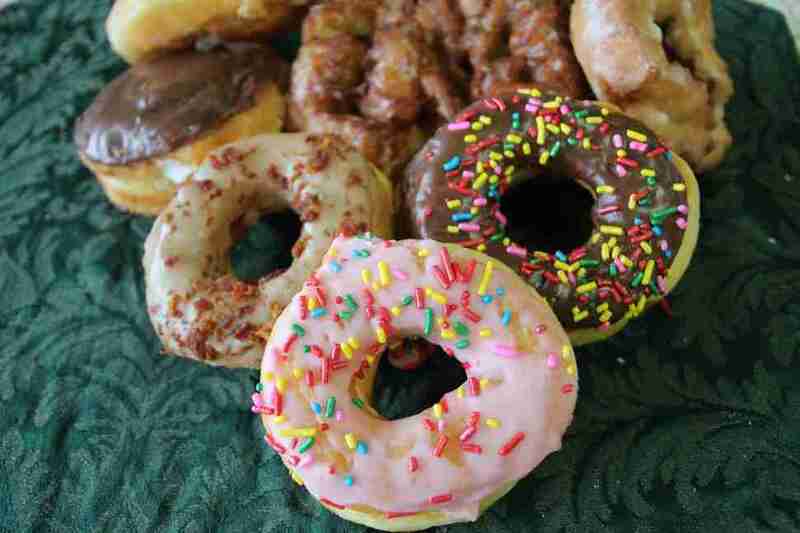 From a donut-craving Mainer who started out selling her locally sourced donuts (the secret ingredient? Maine mashed potatoes.) to area coffee shops and such before striking out on her own (they now have three locations), The Holy Donut really does have a seemingly religious reverence for the art of donut making. The aforementioned potatoes lend a rich, moist quality to the dough that provides a base for flavors like pomegranate, chocolate sea salt, and (of course) Allen's Coffee Brandy, a favorite inexpensive local spirit. And if you know anything else about Maine, you know that the summer only blueberry donuts with lemon glaze are a must. 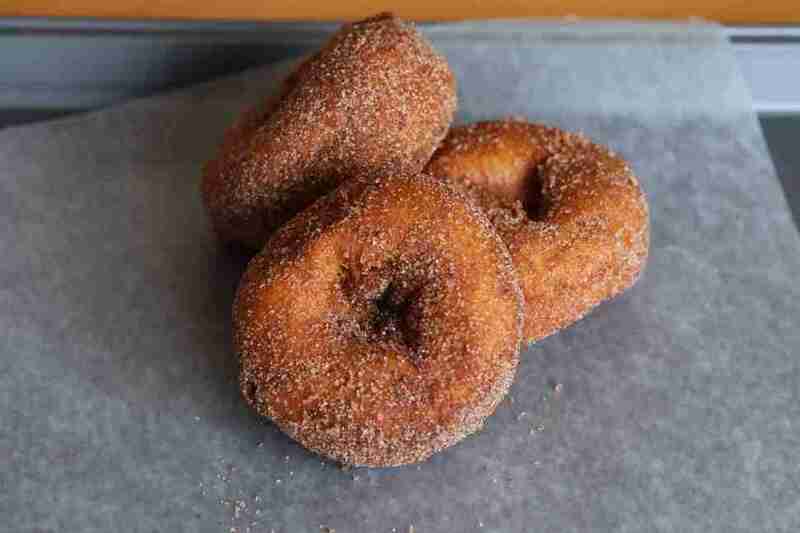 Milwaukee was just a little bit late to the whole craft donut thing, but Holey Moley's 2014 arrival announced a new competitor to cheese curds in the city's pantheon of caloric indulgences -- they're even competing with the ballpark fare at Miller Park these days. They can definitely do over-the-top, as evidenced by the decadent peanut butter chocolate bacon (PBCB for short). The sour cream-kissed old fashioneds are a little bit more restrained (try them with the blood orange glaze). Pro tip: Whatever seasonal fruit fritter they have on offer, make room in your order for a couple of them as well. 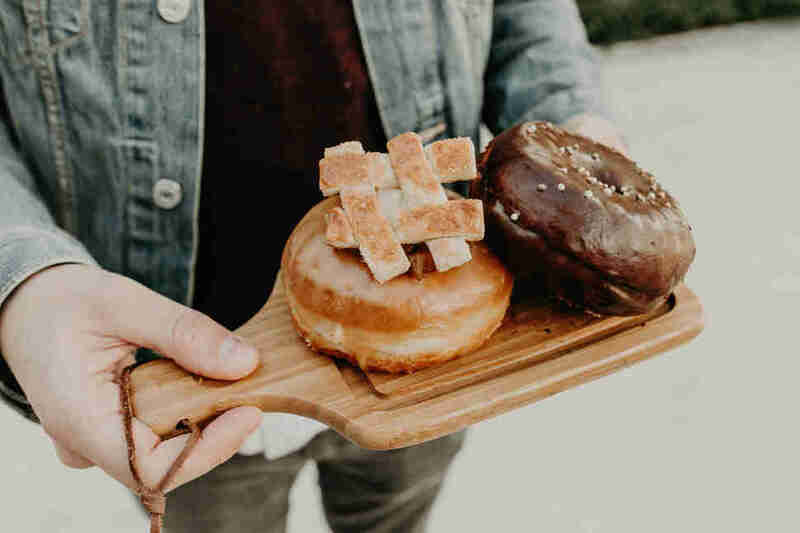 Once you realize that you actually don’t have to get the hug part of the business, Matt Opaleski and Jason Hill’s Houston donut shop suddenly becomes more enticing. Although these guys are showmen and unafraid to put together crazy concoctions -- think s’mores donuts with scorched marshmallows, or one filled with chocolate pudding, or a pepper Parmesan donut designed to house meats — they get our nod because they do the gourmet moves well (get the Homer and the One Night in Pearis) while also paying tribute to the local scene with excellent kolaches and doing crazy things with breakfast sandwiches. One bite of a bacon, egg & cheese glazed-donut sandwich might forever render your local bodega disappointing, especially when it’s paired with one of three types of milk on draft. Enduring the line to scoop up a half dozen (or more!) donuts at this Hoosier institution is an Indianapolis rite of passage that ranks right alongside diving into some shrimp cocktail at St. Elmo's and becoming disproportionately excited when the Pacers sign someone who played college ball in Indiana. There's really no need to stray from the donut shop canon here -- a glazed yeast donut here, a cinnamon-sugar dusted cake donut there. The taste is simultaneously familiar and yet not quite like anywhere else. Hamtramck is a bit of an oddity: a city within the city of Detroit populated with huge Polish and Muslim enclaves that’s seemingly worlds away from the city just outside its limits. 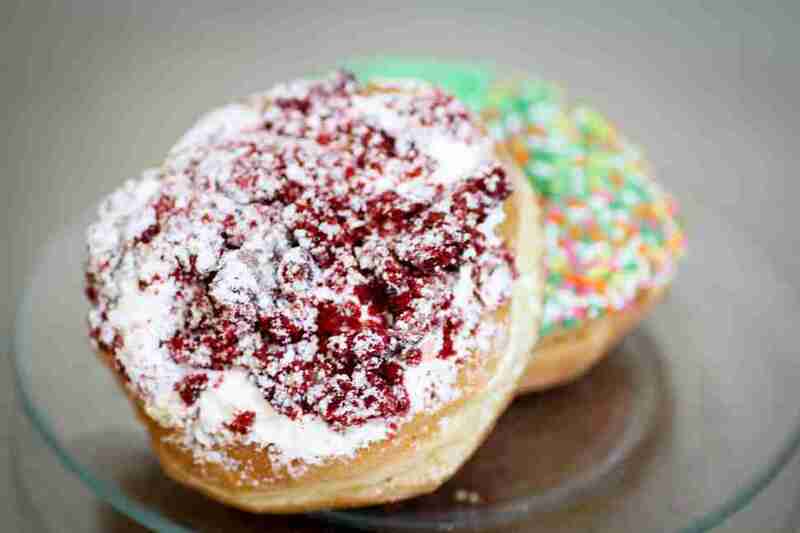 It's also home to some of the best bakeries in the state, and on Paczki Day (or Fat Tuesday, if you're wrong), it’s home to the best hypercaloric donut varieties in the US. 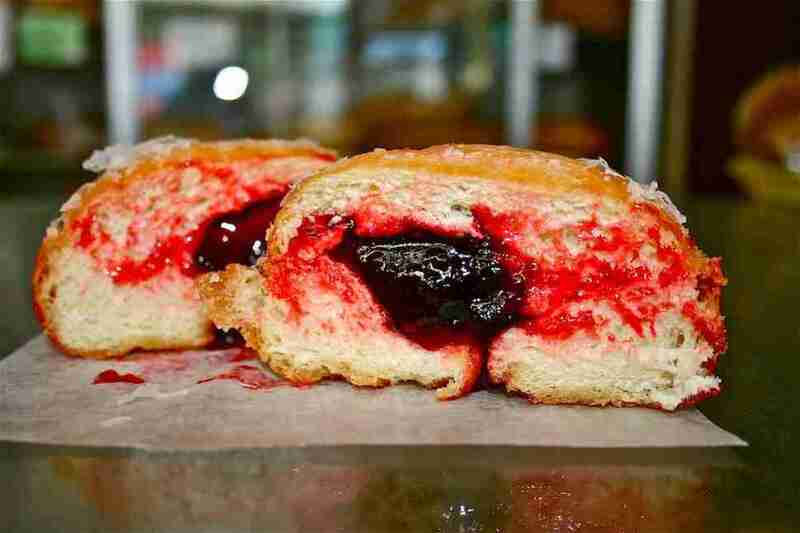 At New Palace, though, every day is Paczki Day, with the city’s best version of the dense, stuffed Old World donuts come in flavors ranging from rose hip to Boston cream, apple, cherry, blueberry, and prune, just in case you overdo it. New Palace didn't exactly reinvent the wheel (Dave Goodwill did that, we think). They just kind of pumped it full of fat and butter and some of the best custard you’ve ever had. Then coated it in sugar. 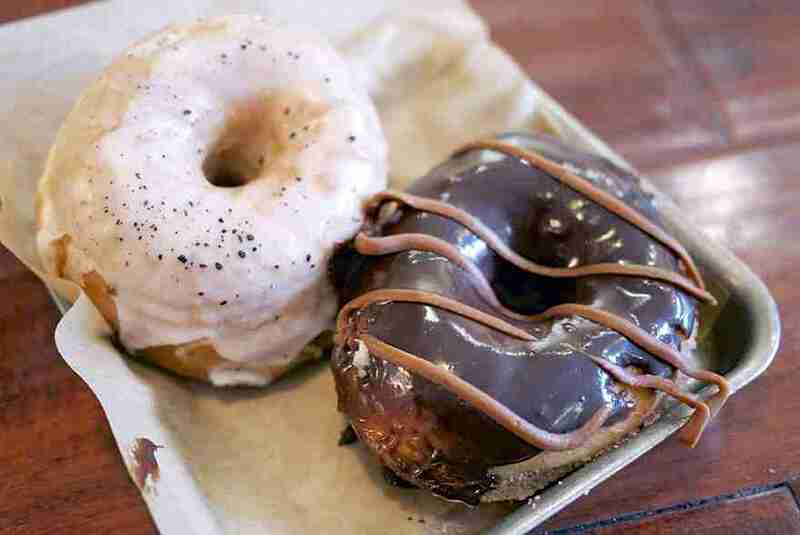 In donut-crazy Portland, the standbys -- Blue Star and Voodoo -- are now chains. But for years, Pip’s has quietly been cultivating its own cult based around simplicity, something often lost in “load ‘em up” new school of donating. Pip’s makes everything to order, and what you get are warm, tiny (a little bigger than a quarter) minimally topped with things like Nutella, fresh honey, bacon, or curd. Or all of that stuff, in the case of the Dirty Wu, a kitchen-sink option made with love by a place that doesn’t let its sink overflow. They also serve up flights of belly-warming homemade chai, and if you show up on your birthday (or in within a week of it), they’ll give you a free dozen of those bite-sized wonders. While everybody else was going crazy, Pip’s snuck in and took over Portland’s donut game by sticking to what they know. And they know it very, very well. 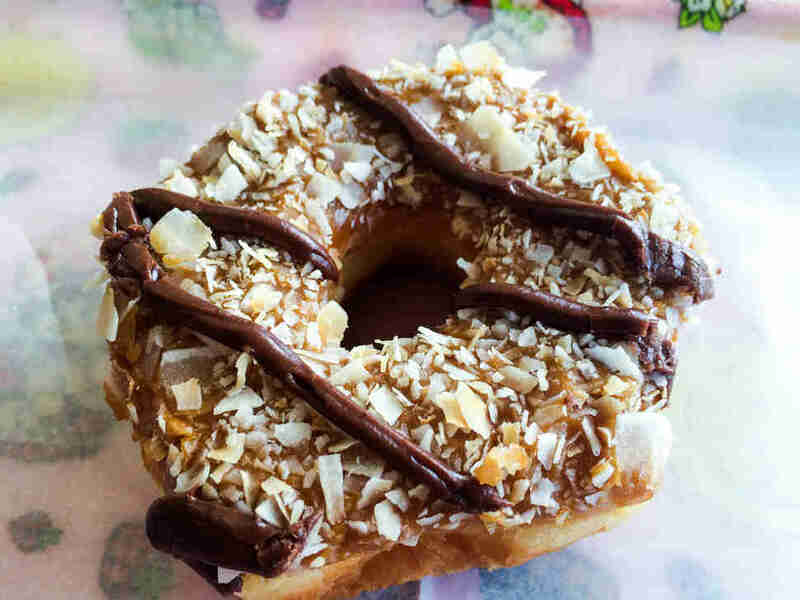 Miami was a few years late to the gourmet donut party -- The Salty Donut was the first gourmet shop in Miami-Dade County when started operating out of a trailer in 2015 before moving onto more permanent digs. But showing up on Miami time isn't so bad when you've got a lineup of donuts like these guys. Owners Andy Rodriguez and Amanda Pizarro traveled the country trying a bunch of the places on our last list of best donuts shops, brought their inspirations to chef Max Santiago, and created this menu that's got Miamians waiting in line for something other than bottle service. 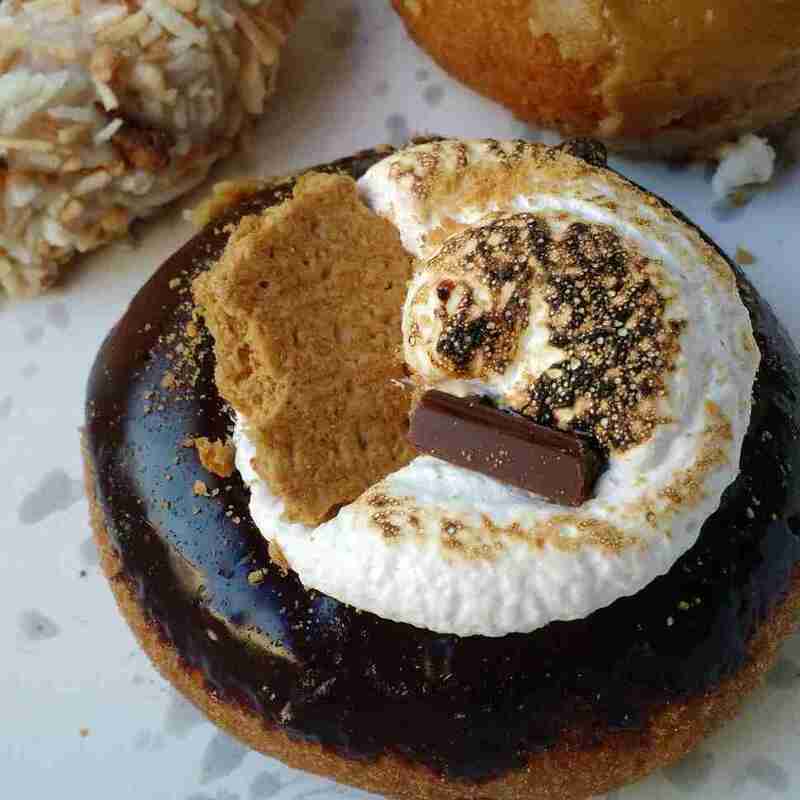 Highlights include double-chocolate gluten-free donuts that taste more like Ho Hos than health food, and "spiked" donut holes, stuck with booze-filled pipettes that effectively turn your dessert into a hand-held cocktail. Some day, when future man looks back on his ancestors, he will see the marks left by some of the true innovators: Da Vinci. Ford. Swayze. Prince. And, of course, the people who managed to turn a donut into an inside-out version of eggs Benedict by stuffing a poached egg, ham, and hollandaise sauce into a goddamn Malasada donut. That would be the folks at Sidecar, which seems to be in a contest of one-upmanship every month with its rotating daily flavors, which range from delicious standards like birthday cake and red velvet but sometimes, just sometimes, transform into some sort of mutant masterpiece. For purists, they also make a hell of an old fashioned and other standards. They’re great for dessert after, um, a donut. 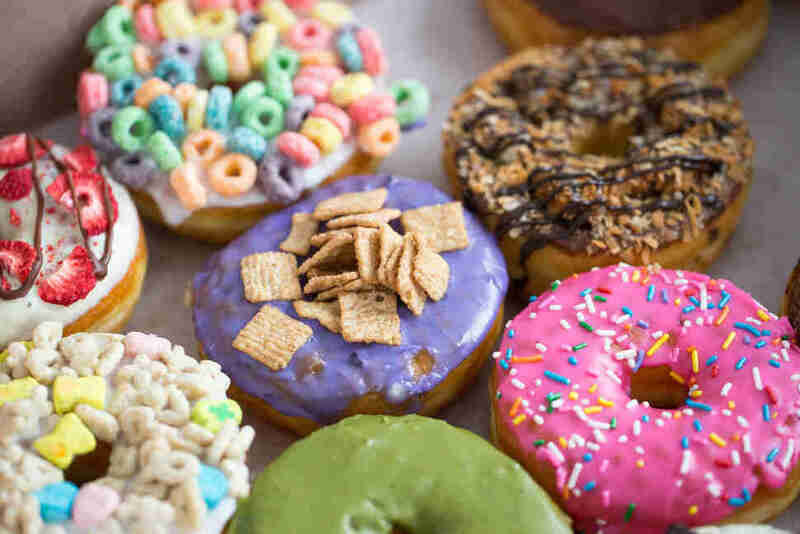 Okay, fine, technically Hi-Lo Diner isn’t a doughnut shop, but it is a diner with a full section of the menu dedicated to doughnuts, so it counts. The restaurant, which is a fully restored original 1957 Federo Diner, specializes in what it calls “Hi-Tops.” While they might sound like sneakers, they are in fact giant yeast doughnuts topped with a mini-mountain of sweet or savory toppings. For a sturdy breakfast, order the Mac Rib, which arrives topped with hefty portion of ribs, a scoop of mac-and-cheese, and a small grilled cheese for good measure. Got a sugar craving? There’s always the Velvet Elvis which comes loaded with peanut butter, honey, slices of banana, and bacon, because why not? We can’t promise it’ll give you Elvis’s vocal abilities, but it sure might give you his waistline. Scratch made using a brioche-like dough base that gives the donuts an airy, pastry-like quality that some fans have been known to describe as "ethereal" or other modifiers so profane in their expression of delight that we can't print them here. They're really, really good, is the point. The flavors run the gamut from more boundary-pushing options like orange cardamom poppy seed to a simple but impossibly perfect raspberry filled number. Of course, Somerville being practically in Boston, you'd be remiss to leave without getting a Boston cream, though know that any future versions you try will likely disappoint you. 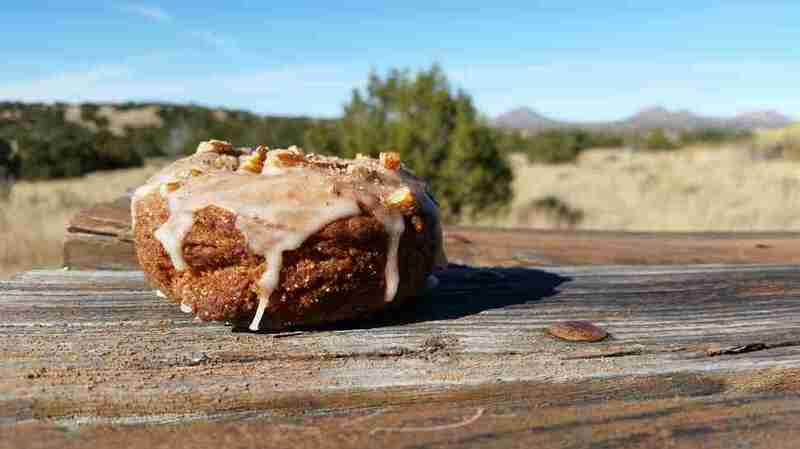 Whoo's is an organic donut shop run by the people behind neighboring beloved Santa Fe confectionary Chocolate Smith, so from the get go you can already be confident they have a way when it comes to sweet things, and to be sure options like pistachio cake with white chocolate lemon ganache or maple bacon with dark chocolate glaze and chili brown sugar deliver the goods. However, it's a slightly less sweet option that might surprise you: the blue corn donuts. Just imagine a corn muffin that was made with blue corn and then cross pollinated with a donut with fantastic results. Then go eat one so you no longer have to imagine. 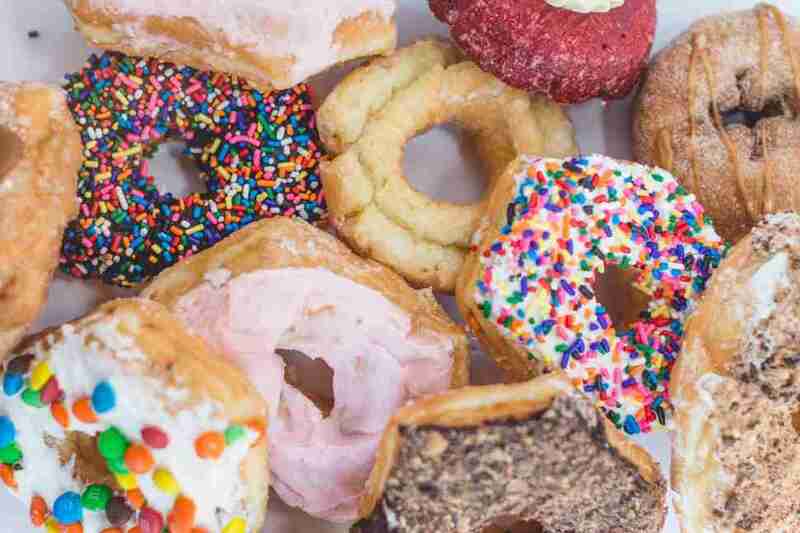 Kevin Alexander, Liz Childers, Matt Lynch, Andy Kryza, Matt Meltzer, Sean Cooley, Sarah Anderson, Lucy Meilus, Laura Hayes, and Jeff Miller contributed their donut-loving knowledge to this report.